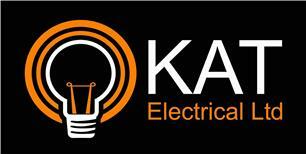 KAT Electrical Ltd - Electrician based in Rowley Regis, West Midlands. KAT Electrical Ltd carries out electrical installation work to BS7671 standards. We have 18 years in the electrical industry - you can be assured we will do a quality job. We carry out all Domestic and Commercial work. KAT Electrical Ltd is Part P compliant and a Elecsa registered contractor. 24/7 callout and much more! !